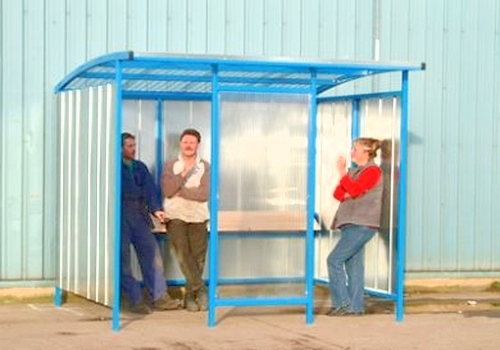 We can supply and install your smoking shelter in compliance to the Smoking Regulations 2007. Different designs are available, along with all accessories needed, including cigarette litter bins. We do self closing, fire retardance metal bins with colour coded flaps to segregate waste prior to disposal. We also do special office recycling bins from the Envirobin Range, used for paper, plastic bottles and metal cans so your waste can be easily separated and hassle free. Hampshire Mezzanine Floor supply a selection of janitorial equipment including hygiene trolleys manufactured from durable plastic with fitted wheels at the back and swivel castors. Alternatively mopping trolleys are available where 2 buckets sit within a frame. The frame on these 2 units has a push handle making the unit easily manoeuverable. Hampshire Mezzanine Floor do many types of cleaners from a small Henry, to an industrial sweeper and high pressure cleaner. Our vacuum cleaners are available with single or twin motors, some have a 2 year warranty, cable rewind and colours ranging from Red, Blue, Green and Yellow. We have a small range of aluminium ramps to offer which are ideal for use with lightweight traffic, e.g sack trucks, trolleys and wheelchairs. 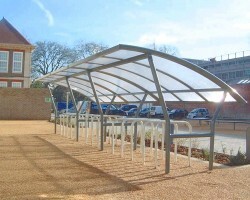 They are manufactured with a 75mm safety lif and a non slip aluminium surface. They are also foldable for easy storage. 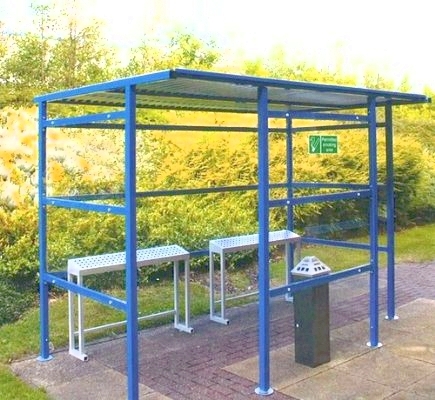 Hampshire Mezzanine Floor do a variety of walkways and shelters including tensile fabric structures, pagodas, semi-permanent sun shades, meet and greet shelters and covered walkways. All are ideal products to be used in schools, colleges and offices. Our skip trucks are a welded construction with the top press formed for additional rigidity and safety giving no sharp edges. 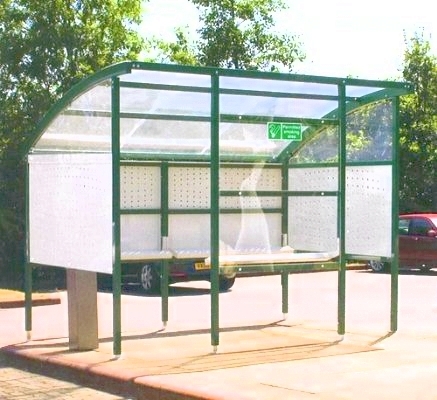 Some units are fitted with a positive skip lock mechanism and integral sideguards as standard. These are ideal for handling swarf and any waste materials safety. For further information on any of our environment products, please contact us.